Perhaps no one can get to the heart of America's anger over the Ryan Lochte scandal better than John Oliver — and at the core of that anger, Oliver says, is the fact that America now has to reluctantly say goodbye to Lochte, the country's favorite "idiot sea cow," as Oliver so affectionately called him. After his robbery allegations during the summer games, America could no longer pass Lochte off as a lovable "idiot" who happens to be an Olympian swimmer. The Last Week Tonight host argues that this reconciliation between the swimmer's image and attitude happened as America watched the events of the robbery allegations unfold. The unraveling of Lochte's image began when he alleged that he and three other U.S. swimmers had been robbed at gunpoint at a gas station in Rio. 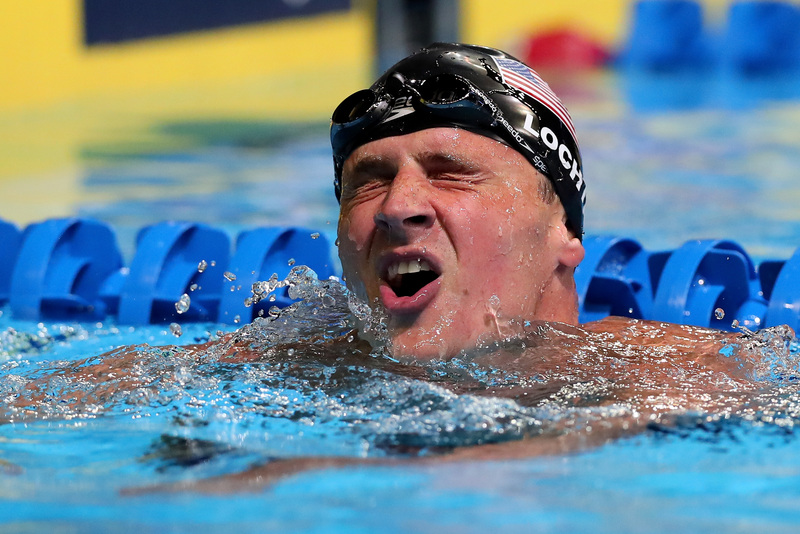 But after speaking with eye witnesses and reviewing security footage, Brazilian police concluded that Lochte had actually vandalized the gas station's bathroom, resulting in an alleged dispute between the swimmer and the gas station's security guard. For days, Lochte continued to insist that he had been the victim of a robbery, even as his fellow swimmers had their passports seized while trying to fly out of Brazil (Lochte had already gone home by that point). It wasn't until Brazilian police reported their investigation's findings that Lochte finally offered what Oliver called a "bullsh*t apology." His statement in part read: "I want to apologize for my behavior last weekend — for not being more careful and candid in how I described the events of that early morning and for my role in taking the focus away from the many athletes fulfilling their dreams of participating in the Olympics." Lochte later went on to say that he was "still drunk" at the time he gave his first account of the robbery. But for Oliver, this timeline of events in what has become known as #LochteGate resulted in one clear outcome: America has to say goodbye to the Lochte it knew ("the purest form of the chemical element Bro") in exchange for the Lochte the 2016 Olympics showed us. As Oliver put it, the whole scandal "makes him a lot less fun now." Legal consequences for Lochte (if there are any at all) have not been confirmed yet — so fear not, the swimmer could still make a comeback in Tokyo. But after this segment, it's unlikely that America will see him as they did pre-robbery allegations.